Over the years whisky has been consumed in many different ways. Some of the serves are based on tradition and science and are meant to bring out the full potential of any good whisky. Order your dram straight, or with a few drops of water, and you’ve made the whisky gods proud. Other serves mask and weaken the whisky’s flavour, and simultaneously, anger whisky connoisseurs worldwide. Don’t believe me? Enter any high-end whisky bar, from London to Tokyo, and order an 18 year-old single malt on the rocks. Odds are a seasoned whisky expert will sit shaking in his or her bar stool, a few feet away. They might even interject and school you on the “right” way to consume your dram. Some serves shouldn’t even be legal. I mean ordering a Yamazaki 12 year-old with Cola… Seriously? But one serve is as disputed as they come, and while many from the Western world cringe at the thought, it seems the entire population of Japan love, and swear by this serve. To most the serve is commonly known as a whisky highball, or a whisky and soda. Grab a highball glass, fill it with ice, add the whisky and top it up with soda. It’s simple, watery, and believed to ruin good whisky. 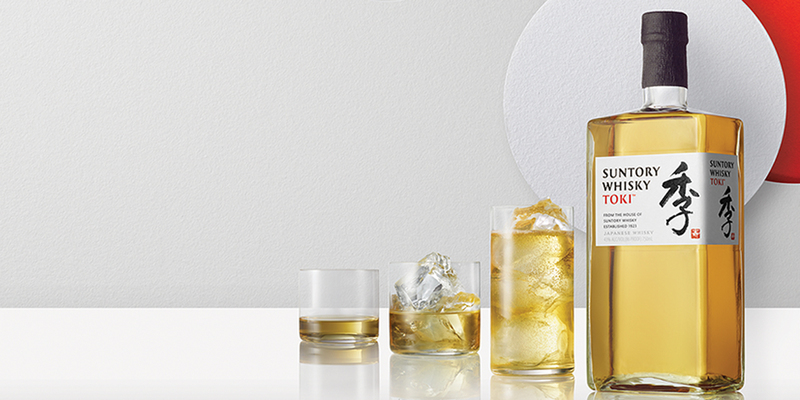 However, in the land of the rising sun, the whisky highball isn’t as simple as we know it. The Japanese highball can be described as an art, and after venturing into a few bars in Japan, you’ll find that it’s the most common way whisky is consumed. As you know, Japanese whisky is the definition of smoothness and delicacy, and savouring it straight is the only way to fully experience its potential. But there is beauty to be found in the Japanese highball serve, as it captures Japanese culture in one, tall glass. Now, Suntory is dynamically bringing this Japanese cocktail serve to Western shores. Built with the Japanese attention to detail in mind, a highball can be a wonderful, refreshing drink to enjoy on a night out. This belief is spreading, and the highball culture seems to be growing in popularity all over the world, especially in the U.S. Famed bartenders tackle the highball and create their own twists, while Japanese-inspired bars with their own signature highball are popping up all over the place. All of the above make this the perfect time to create a new, convenient way of building the two-ingredient cocktail. Enter the highball machine. 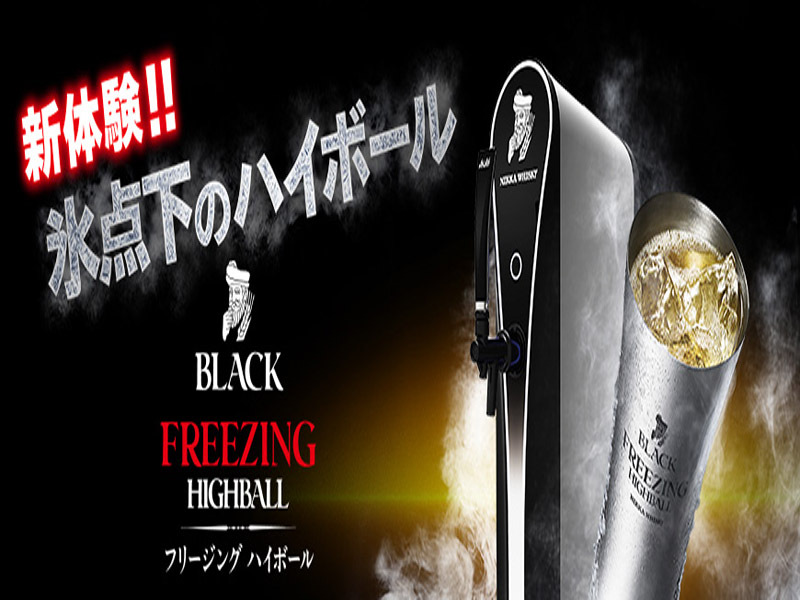 An official announcement hasn’t been made, but with the Suntory Toki range as the frontrunner, Beam Suntory has created a futuristic highball-making machine. Toki whisky is a lower end, more affordable (compared to the Hibiki) blended whisky by Suntory, who recommend it be enjoyed in a highball. According to an interview with the Wall Street Journal, Kinfolk 90, a classy bar in Brooklyn, was the first bar in New York to purchase the new machine. “The cocktail’s appeal is rooted in its simplicity,” said General Manager John Van Lieshout. He notes that, despite the drink’s simple build, the machine adds the famed Japanese touch of art to each one. Priced at $12, and with the addition of some grapefruit essence by Mr. Van Lieshout, the cocktails are growing more and more popular. Jim Meehan, one of the most well-known bartenders in the U.S. and author of the Bartender’s Manual, recently opened a Japanese-inspired bar named the Prairie School in Chicago. Of course, the Suntory highball machine was added to the new establishment. Adding their own touch to the concept, bespoke mugs are purchasable at the Prairie School, to fill up with delicious Toki highballs all night long. So far, the machines have been installed in three locations in New York, three in California, and a few in Illinois, however, Beam Suntory aims to sell dozens more of the machines in the coming years. According to the Wall Street Journal, Beam Suntory has priced each machine at four digits and hopes to have their machines in over 10 New York bars by 2018. Over in Japan, Nikka has been selling a similar machine for years, called the Nikka Freezing Highball. With a base of the Nikka Black blended whisky, the highball is served at 2 degrees below zero in stylish metal Nikka mugs. Recommended with ice or without, the Nikka Freezing highball is purely marketed as a refreshing beverage and not as a way to enjoy whisky. While in the West, Suntory is pairing the highball culture and machine with luxury and the vibrant nightlife scene, the Nikka Freezing highball can be found anywhere in Japan, from small izakayas to fast-food shops. It’s interesting to look at the differences in Japanese and U.S. culture here. In Japan, the highball is served in two ways. In bars across the country, the cocktail is built with skill and craftsmanship. On the other hand, for speed and convenience, it is dispensed through the machines, and sold in cans. Anyone who has experienced Japanese culture will understand this. There is either extremely high-quality, or convenience, but no in-between. For example, highball machines wouldn’t often be seen in high-end Japanese bars, as machine dispensed cocktails would be paired with inferior quality. 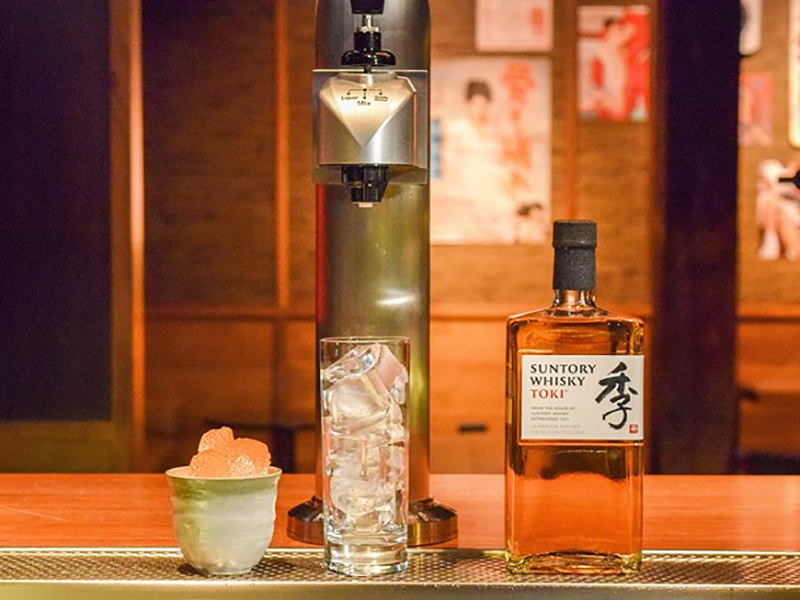 The movement by Suntory in the U.S. is attempting to fuse both quality and speed together, in order to help promote the Japanese highball culture and push Suntory whisky at the same time. But, at the end of the day, the beauty of the highball doesn’t lie in its ingredients, but in the careful and skilful build of the drink.